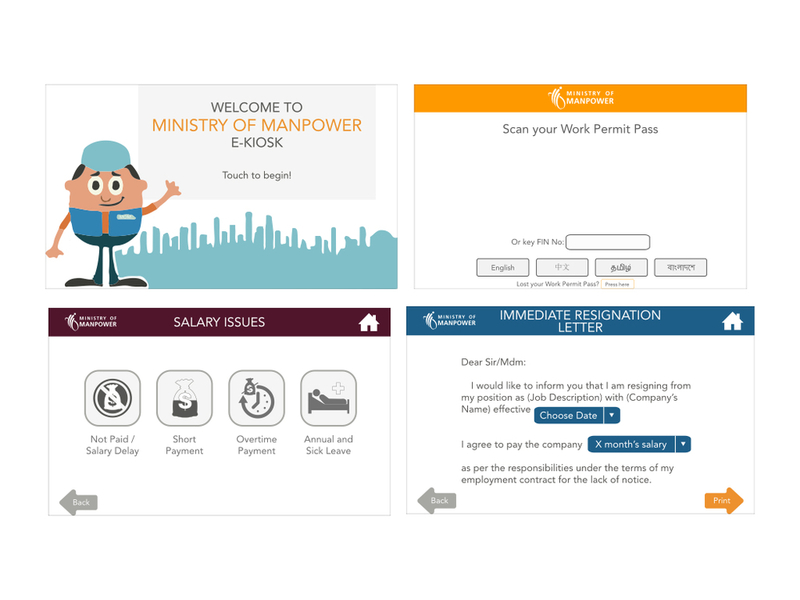 Our team identified a severe bidirectional communication barrier in Ministry of Manpower’s customer relations with Work Permit Holders. We hence approach this design opportunity in two phases — pre-visit and visit. For pre-visit, our concept is to “bring MOM closer to the workers”. An e-kiosk that focuses on bringing self-help services will be placed in areas where the workers frequent. It enables pre-screening, resolving general enquiries on the spot, whilst helping those that require more assistance to book e-appointments and prepare necessary documents. As for the visit phase, our concept aims to bridge the language barrier between staff and workers to enable efficient two-way communication. A communication toolkit was thus designed for use at the cabana area in Hall A. The toolkit aimed at addressing salary and work permit issues in a logical sequence. 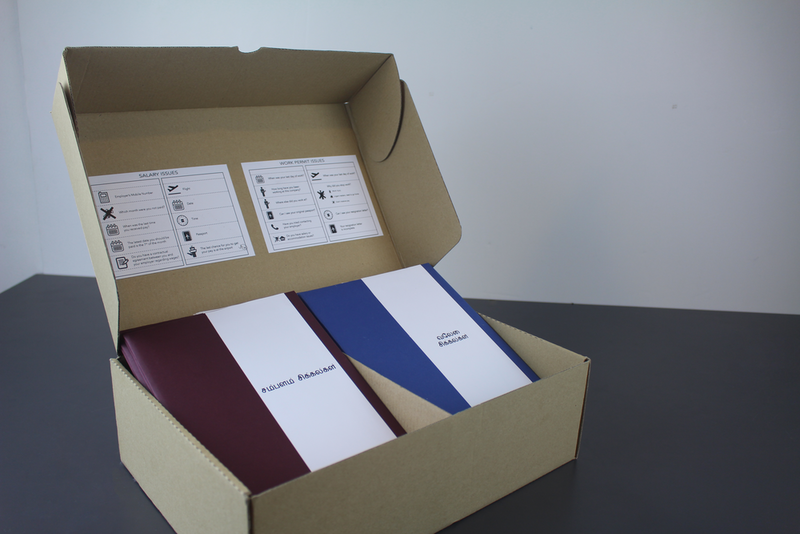 Our final design, after much iteration and user testings, includes a single book that houses 3 main languages spoken by workers and 2 minority languages.